Bo Peep, a character from Toy Story movie series, will begin appearing at Disney’s Hollywood Studios and California Adventure very soon! 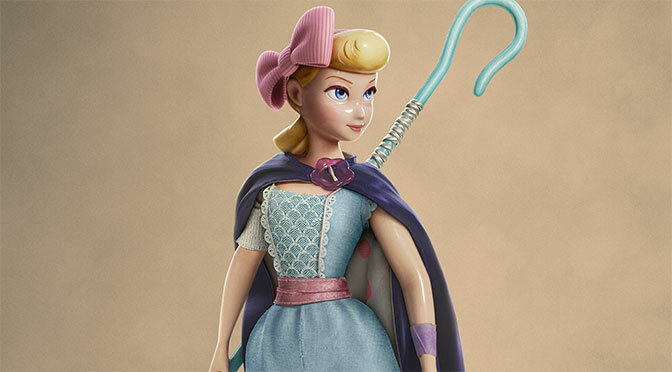 Disney – Bo Peep, from Pixar Animation Studios’ “Toy Story” films, will be making special appearances at Disney Parks starting this summer. You’ll be able to meet Bo when she finds her way to Disneyland Paris, Pixar Pier at Disney California Adventure park and Toy Story Land at Disney’s Hollywood Studios. She’ll also be traveling across the Pacific to visit Disney Parks in Asia. Are you excited to meet Bo Peep in the parks this summer? Love it! She’s a cute character. I hope I can get there while she’s making her appearances! My kids may not care about Bo, but I will be in that line!! Kenny do you know if this is a M&G through the end of the year? Wish they’d have a Rex meet & greet. That would be awesome. I don’t really remember anything about Bo Peep at all from the other TS movies. She was Woody’s love interest.